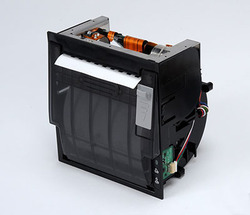 Leading Manufacturer of thermal printer ftp-628mcl103, panel mount thermal printer type 1, panel mount thermal printer type 2, panel mount thermal printer, panel mount thermal printer 2 inch and portable mini thermal printer from Pune. Our Original platen removal mechanism improved paper loading & maintenance. It supports 2 different font sizes as well as graphic printing. 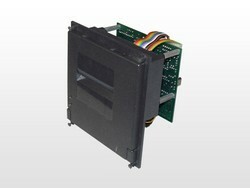 It's small size and low power consumption is ideal for various Hand held applications as well as other compact printing applications. It supports 2 different font sizes as well as graphic printing. 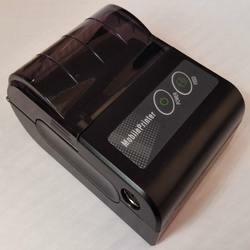 It's small size and low power consumption is ideal for various Hand held applications as well as other compact printing applications. 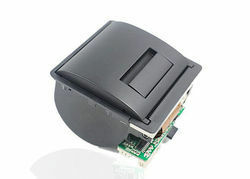 The EPM203 is a 5V only, RS232 Based thermal printer. The printer is a compact printer that adopts a thermal line dot printing method. It has the following features: High resolution printing A high-density print head of 8 dots/mm produces clear and precise printing. Compact and light weight Dimensions : W69.8mm x D32.7mm x H15.3mm (LTP01-245-11, LTP01-245-18) W70.3mm x D32.7mm x H15.3mm (LTP01-245-12) Mass : Approx. 44 g High print speed* Maximum 75mm/s print is available. 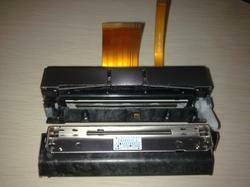 Easy operation Platen open mechanism provides easy paper installation. Auto-loading function Automatic insertion of the thermal paper is enabled by the Auto-loading function. Maintenance Free No cleaning and no maintenance required. Low noise Thermal printing technology realizes low-noise print. Replace ability Possible for full replacement from LTPZ245M.